Jack Skellington wants to help keep your money safe! The Nightmare Before Christmas Jack Skellington Bust Bank features the Pumpkin King of Halloween Town from Tim Burton's ever-popular The Nightmare Before Christmas as a vinyl bust bank. 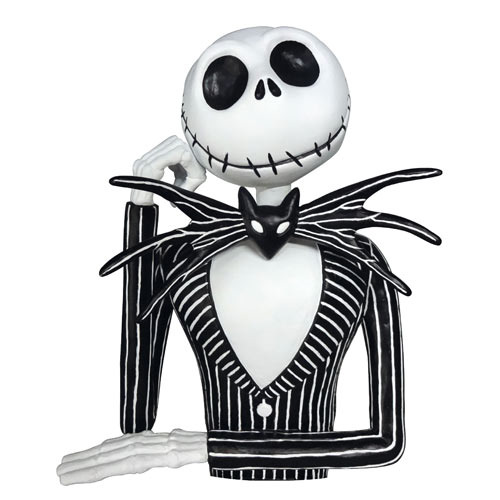 It'll add some awesome flair from The Nightmare Before Christmas to your room or desk! Measures about 8-inches tall. Ages 4 and up.